Download here a plugin for TurtleBlocks V131 (tested on OS880 Sugar 0.94) . It is a rework of a project by I.T. Daniher which has been dormant since March 2011. Here and here. 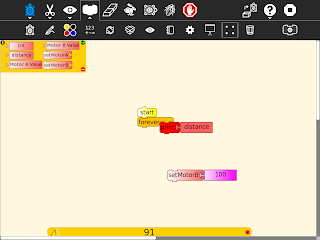 Download the file and unzip it, copy wedo-plugin to the plugins directory of Turtle Blocks (/home/olpc/Activities/TurtleArt.activity/plugins). The Freetronics Leostick is a low cost Arduino board. (It is presumed to be low cost, it was cheap enough to place into the satchels of the attendees of LCA2012.) The XO-1.5 already has 2 channel analogue input, an Arduino board can add a lot of extra input and output channels. This could facilitate a number of low cost science and robotics experiments in schools, experiments at a cost suitable for developed and even developing countries. The second version is probably the most practical for classroom use. Once the Leosticks are loaded with Firmata (and this could even be at the factory) all that is requited is TurtleArt drag and drop programming. This installs an older version (0021), more importantly it installs all the dependencies including Java and avr-gcc. It is a 60MB download which expands to 200MB of storage, be warned it uses up a lot of precious space. The file arduino-1.0-linux.tgz uncompresses with the Gnome archive manager. Uncompress it to a convenient location, if for example if you uncompress it to Documents, you will find a directory arduino-1.0 in this directory. You now have 2 versions of the program, 1.0 (at /home/olpc/Documents/arduino-1.0 ) and 0021 (with components at /usr/share/doc/arduino-0021 and /usr/bin). The later versions 1.0 uses the dependencies installed with the earlier one 0021. Launch the Arduino IDE (sudo /home/olpc/Documents/arduino-1.0/arduino), and select Tools > Board > Arduino Leonardo. a new device appears with Leostick plugged in, dev/ttyACM0, select it. You can now upload example programs, eg blink, to the Leostick. 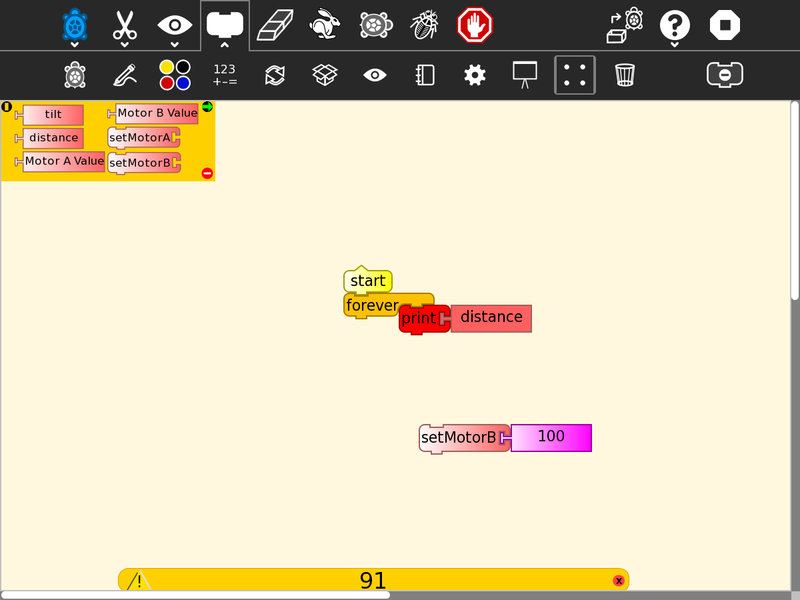 Load Firmata software into the Leostick, this can be done on an OLPC, another Linux PC or Windows. Once this is done the Leostick can be used as a I/O expander for Turtle Block drag and drop programming. No Terminal or Gnome work would be needed. The version here works for older Arduino boards on Sugar 0.88 It needs patching at TurtleArtActivity.py, line 834 as described in the link above. The baud rates of Turtle Art and Firmata need to be patched. This version is hard coded to dev/ttyACM0, that means it only works the first time the Leostick is plugged in and not at all for older Arduino boards. It is patched and works on Sugar 0.94.